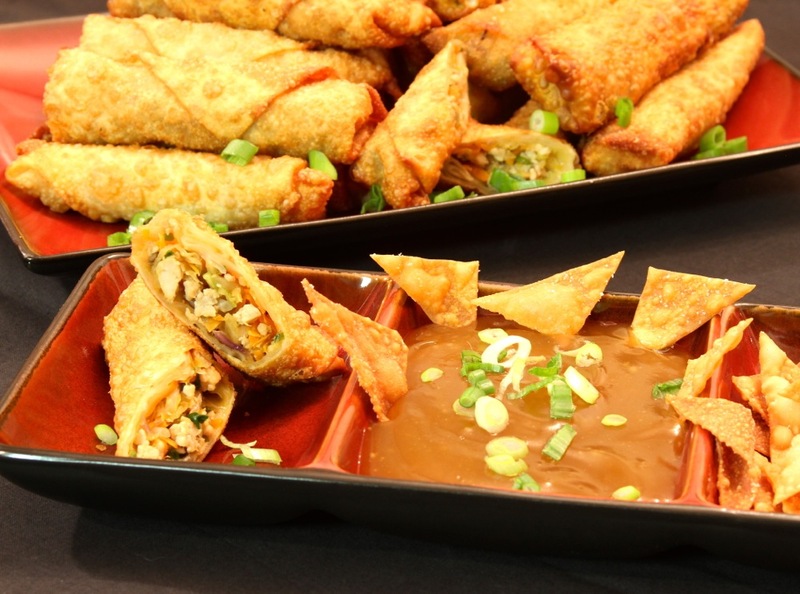 Delicious, crispy egg rolls with a sweet and sour dipping sauce… What could be better? If you prefer to make a vegetarian version, just leave out the ground pork and fish sauce, using a little more of the vegetables instead. Place 2-3 Tbsp sesame oil in a large wok or skillet over high heat and add minced ginger and ground pork. Sauté until lightly browned, about 2-3 minutes. Add the shredded cabbage, carrots and green onions, cooking an additional 2-3 minutes, until tender. Add the soy sauce and fish sauce, stir, then remove from heat and allow the mixture to cool. Fill the egg roll wrappers by placing about 2 Tbsp of the mixture in the center of each wrapper, then roll half way from one corner of the wrapper. Brush the remaining exposed part of the wrapper with water, then fold in the two side corners and roll up the rest of the way. In a large skillet (I prefer cast iron), heat the canola oil to about 350 degrees. Place rolls flap side down, about 3-4 at a time, turning occasionally, until golden brown. Then remove to a wire rack or paper towels to drain. Mix the potato starch (or corn starch or arrowroot) and water in a small bowl and set aside. Mix the orange juice, brown sugar and lemon juice in a small saucepan over medium heat. Add the pre-mixed potato starch and water to the sauce, then stir constantly until it thickens. This entry was posted in Pork, Side Dishes by Jeremy Simon. Bookmark the permalink.